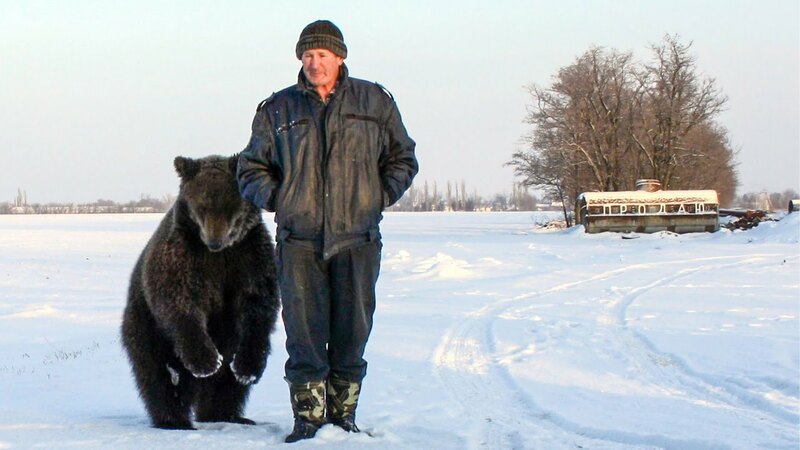 This footage comes from Russia where, in the Azov area, Sergey Poluyan noticed a brown bear, got out of the car and captured the animal, that was playing just like a dog. These images are amazing and show the animal beauty and nature, in this case, gentle. It is easy to believe that this bear was raised with humans such is his natural behavior with them, that are overwhelmed with his reaction and fun!